RYANAIR AVIATIONS MOST EXPLOITED AIRLINE WORKFORCE .We are in no way affiliated with Ryanair. : EUROPEAN COURT RULING BENEFIT RYANAIR TERMINATED CABIN CREW. .
EUROPEAN COURT RULING BENEFIT RYANAIR TERMINATED CABIN CREW. . 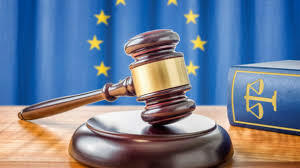 The ruling by the European Court of Justice regarding crew disputes relating to their employment contracts, have the option of bringing proceedings before the courts of the place where they perform the essential part of their duties. As many terminated cabin crew had to travel to Dublin to fight these wrongful terminations,this ruling may halt Termination for profit at Ryanair. I would ask anybody reading this post to please share to all cabin crew at Ryanair. John said, This is great news for all cabin crew at Ryanair. .